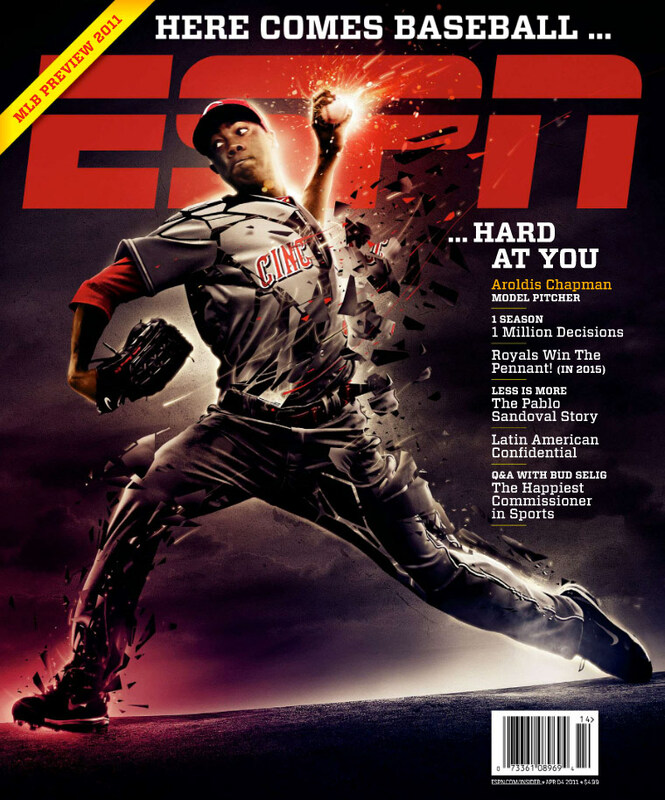 ESPN The Magazine cover artwork featuring Aroldis Chapman. 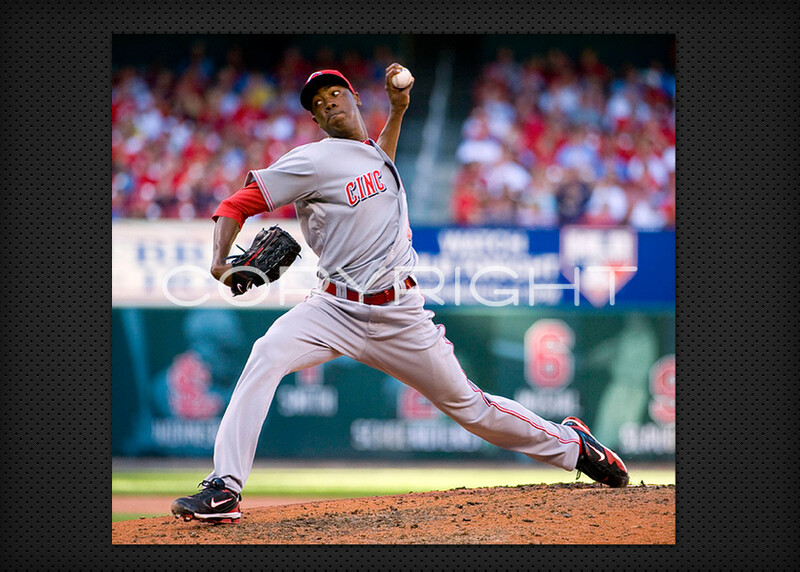 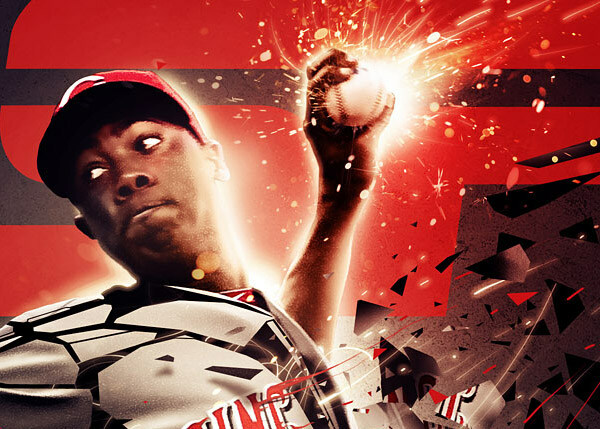 April 2011 Cover Artwork featuring Aroldis Chapman. 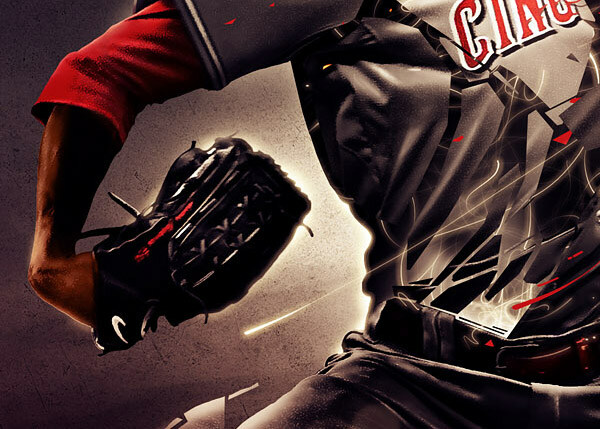 Idea behind this artwork was simple - let's make Chapman faster, stronger, meaner and grittier - but it was challenging at the same time. 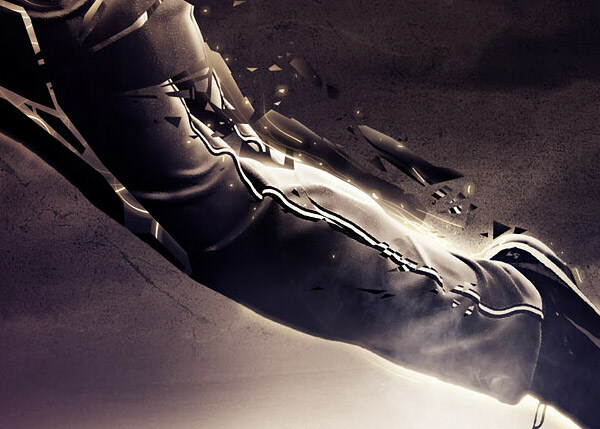 My goal was to introduce dark scenario with abstract graphics but also not distracting, so main character stand out and is easily recognizable even from a distance. 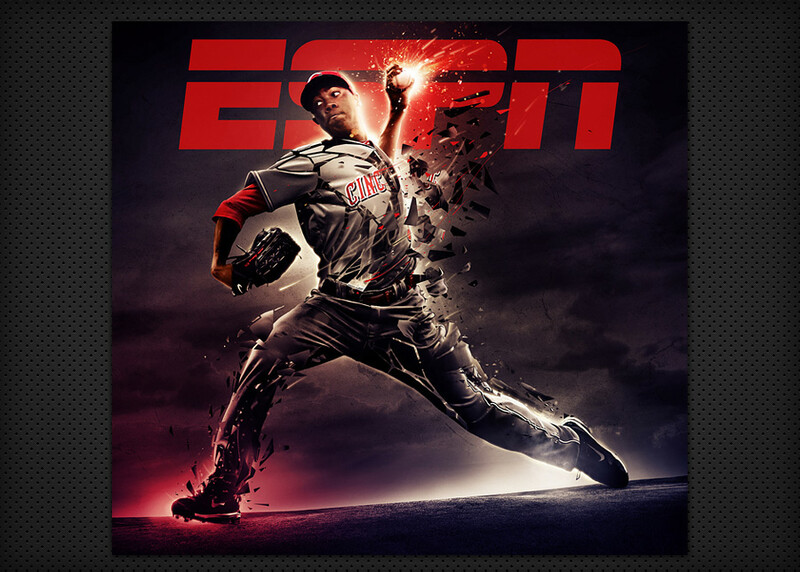 This cover artwork is also available to buy at ESPN Photo Store.